Defence Connect can reveal that Sydney is the front runner for Future Submarine basing as part of the ‘Two Oceans’ policy. The move to locate a sizeable portion of Australia's SEA 1000 Future Submarine fleet has been outlined in Freedom of Information (FOI) documents provided to Defence Connect by South Australia senator Rex Patrick, himself a former submariner. Relocating major fleet units to the east coast and particularly Sydney would require major redevelopments to the existing naval infrastructure of the city and would place the country's largest city at the epicentre of the ADF's ability to project force into the Pacific area of operations. The proposed relocation is in-line with the 'Two Oceans' policy, which identifies the need to split the Navy's major resources between east and west coast operating bases to ensure that Navy and broader ADF operations can be conducted in an efficient and effective manner, while also ensuring that any possible contingency in either area of operation can be responded to with speed. "It makes perfect strategic sense for Australia to have a two ocean submarine force posture. There are good reasons for Australia to have submarines based on the east coast. In 2014, coinciding with the G20 meeting in Brisbane, a Russian Navy task group deployed to the Coral Sea,” Senator Patrick told Defence Connect. “China is expanding its naval capability and is utilising soft power in both Timor-Leste and Vanuatu. We can expect more foreign naval activity in the eastern Indonesian archipelago, the Coral Sea and south Pacific in the future." Beyond the broader strategic and operational rationale for submarines with immediate access to both the Indian and Pacific oceans, growing shortages in the nation's submariners has been another focal point for relocating a portion of the nation's future submarine fleet. The shift is expected to improve crew retention and operational tempo rates. Additionally, the 'Two Oceans' policy supports increased industry involvement on both coastlines as industry and highly-specialised facilities will need to be developed in order to support the increased fleet presence. 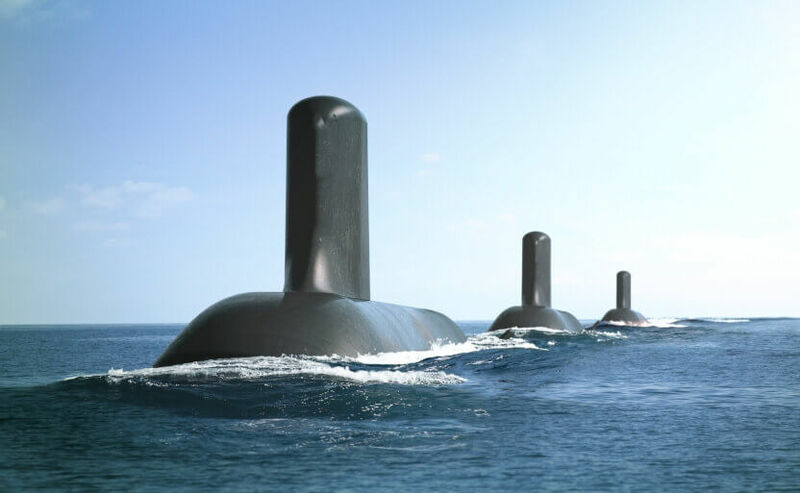 The SEA 1000 Future Submarine Program will be the largest Defence acquisition project in Australia's history, with a projected cost of $89 billion, which will provide Australia with 12 locally-built next-generation submarines, designed by French warship and submarine builder Naval Group.